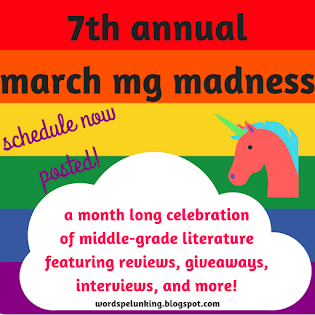 Check out the full 5th Annual March MG Madness schedule and enter to win a box of middle-grade books. World War II is raging across Europe and young Kat, Robbie, and Amelie are sent off to the Scottish countryside, away from the bombs in London. The three siblings’ father, who is off on a dangerous mission, has arranged for them to attend a school in a once grand, but now quite crumbly, castle: Rookskill Castle. The dark, eerie castle is full of strange screeches and groans, and the topsy-turvy interior seems to have a mind of its own. And when Kat’s classmates start to disappear, she knows that Lady Eleanor, the fierce lady of the castle, is up to no good. Is there a Nazi spy in the castle...or is there something more sinister at play. 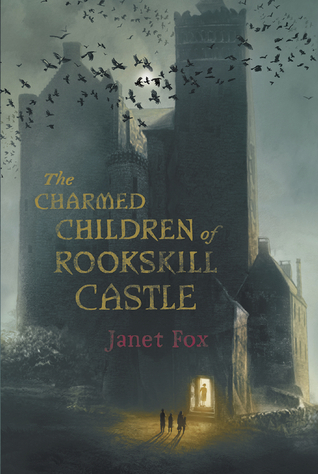 Janet Fox’s The Charmed Children of Rookskill Castle is utterly divine! Richly atmospheric, with superb world-building, enchanting storytelling, and engaging characters, this book had me absolutely captivated. Fox’s pitch-perfect voice and lush writing weave a spellbinding tale full of magic, mystery, thrills, and chills. Rookskill Castle makes for a deliciously eerie setting, with its winding halls, secret doors, and air of dark whimsy. This setting and world simply burst off the pages! Fox creates a spine-tingling atmosphere teeming with an enthralling otherworldly strangeness. Young readers will easily be swept away into the magical madness surrounding the castle. Fox combines spectacular fantasy and steampunk elements, with good ol’ fashion mystery and adventure, to create an imaginative page-turner. Kat, Robbie, Amelie, their classmates, along with their teachers and the castle staff, make for an eclectic and engaging cast of characters. Kat is an admirable and likable heroine, with a clever head for numbers and brave heart. Of course, every great heroine needs a great villain to go up against, and Fox really wows in the villain department and offers readers a wonderfully horrid, yet complex baddie. The story wraps up nicely, but leaves plenty of room for more adventures! my final thoughts: The Charmed Children of Rookskill Castle is a bewitching, beguiling, and beautifully written middle-grade. I loved every moment of reading this book and can’t recommend it enough! Oh, this is a hard one! I have so many favorite characters, and I have to leave out so many, including all my favorite YA characters...but, okay. For now. Hattie, from HATTIE BIG SKY (Larson). Hattie braves hardship and her own ignorance to try and make a life on the Montana plains. Hermione, from HARRY POTTER (Rowling). Hermione's transition from know-it-all to the friend you want in your corner is one of the great character developments in middle grade novels. Winnie, from TUCK EVERLASTING (Babbit). The depth of the story is reflected in Winnie's curiosity and then in her painful but essential choice. Calpurnia, from THE EVOLUTION OF CALPURNIA TATE (Kelly). Callie's voice is so strong. And I love her inquisitive and determined nature drawn in a sweet and observant narrative. Keeper, from KEEPER (Appelt). I love Keeper's sense of hopefulness in her search for her mother, and her belief in love and magic. Zulaikha, from WORDS IN THE DUST (Reedy). Zulaikha struggles against great odds - her culture, her appearance, the war - to become a strong young woman in search of a real future. Tree-ear, from A SINGLE SHARD (Park). Tree-ear's evolution from scrounging orphan to artist is a devastating and beautiful journey. Liesl, from LIESL AND PO (Oliver). I love Liesl's determination to reconcile the loss of her father, her friendship with Po, and her great sense of hope. Mattie, from FEVER 1793 (Anderson). Mattie is a flawed character and lazy girl who digs deep and learns to work hard in order to save herself and her family. Ruby, from A RIDDLE IN RUBY (Davis). Ruby Teach is a thief, a picklock, and a scoundrel - but she's also loyal and willing to risk everything for those she loves. Janet Fox is a former teacher and a writer of fiction and nonfiction. 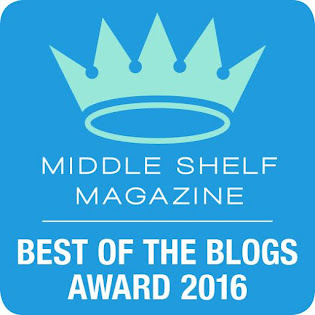 She is the author of the award-winning Get Organized Without Losing it, written for middle-school children. She has written two young adult novels, Faithfuland Forgiven, companion novels. She is a graduate of the MFA/Writing for Children and Young Adults program at the Vermont College of Fine Arts. Janet lives with her husband and their college-age son in the mountains of Montana. The Charmed Children of Rookskill Castle! Definitely passing this book to our son, thanks for the post! This one sounds like a real winner! A castle, possible ghosts, and WWII .......I'm on board! Sounds like a wonderful book. Aeicha - Thank you SO much for hosting me on your blog!! Cheers and happy reading! This sounds really good and the cover looks beautiful. Historical fiction, atmospheric setting, and a mystery, sounds wonderful.